The term chiffonade means to slice something into narrow ribbons, the way you would slice cabbage to make coleslaw. 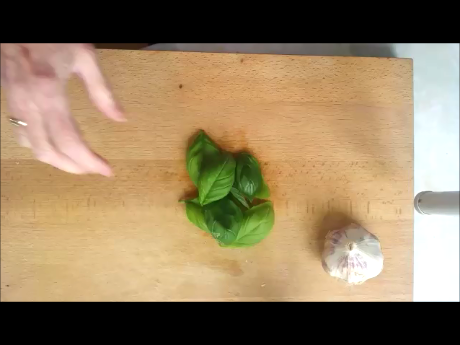 This video will show you how to quickly chiffonade any leafy vegetable or herb into narrow ribbons. The example we show in the video is with basil to dress a tomato salad because that is how Adrienne first taught me to chiffonade. I now use this skill with a knife but also with scissors for a myriad of kitchen tasks. The great thing about using this method for basil is that it is so quick you can literally do it at the last minute with a pair of scissors before you take the salad to the table. Let me know what you do with this skill and post or share pictures on Facebook and Instagram.